The Superstar Shakeup is finally here! 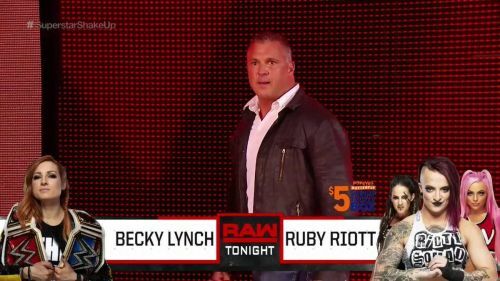 Superstars from every brand are up for a possible switch and this is one of those game-changing nights that either helps reinvigorate careers, or ruin them. Tonight's Superstar Shakeup wasn't any different from the past ones, when it comes to completely changing the dynamics of the WWE roster. 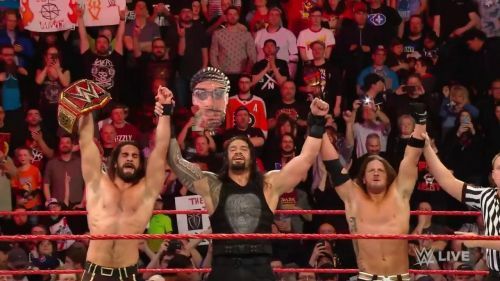 The Shakeup wasn't exclusive to Monday Night Raw and SmackDown Live, with NXT Superstars also getting sucked into it as well. It's hard to predict what will these Shakeups result in as we move forward. But for the time being, let's take a look at five things that seem to have been done correctly on the red brand. The Miz and Shane McMahon had one of the most heated up feuds going into WrestleMania 35. Things were a bit different than what the WWE Universe was used to seeing, as The Miz was a crowd-favorite babyface while Shane took the role of the dastardly heel. Shane won the 'Mania encounter by pure luck, but it seems like we're far from done here. Stephanie McMahon announced the first Superstar to switch to the Red Brand, and it turned out to be none other than The Miz! The brawl was on and although it seemed like Shane would stand tall in the end, a chair shot turned things around and The Miz dispatched off the SmackDown Live Comissioner. Now with Miz being on Raw, one might wonder whether this feud is done and dusted with. But it wouldn't be fitting for The Miz to go about his way like he didn't suffer a major loss at 'Mania. Expect this feud to continue for a while, with the two arch enemies facing off one final time on a PPV in the near future.